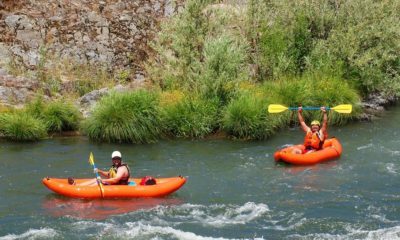 Raft the Rogue -A calm stretch of the Rogue River begins at the All Sports Park in Gold Hill and ends with the boat launch at the Rogue River Bridge park of off Depot St. This run is a leisurely 4 1/2 hours float with riffles, rips and a few small rapids. Rent an inflatable Tahiti or Raft and take advantage of the scenery, surrounded by trees, wildlife and beautiful landscapes, this run takes you down 5.5 miles of pristine Pacific Northwest Wilderness. Valley of the Rogue State Park-Valley of the Rogue State Park is a state park in west central Jackson County, Oregon, near Grants Pass and Medford, and is administered by the Oregon Parks and Recreation Department. It lies along the banks of the Rogue River, adjacent to Interstate 5.The park offers a year-round, full-service campground, a nature trail, a day-use area, and river access for boating, fishing, and swimming. includes a car show on Sunday. People travel long distances just to participate in this annual event in hopes of earning the famed title. No ROOSTER? No problem. The Human Crow contest is for those whom wish to personally get active. See official rules for both contests below or in the Kiwanis Rooster Crow booklet which is published each year. Woodville Museum- The Woodville Museum, housed in the Hatch House, is located on the corner of First and Oak Streets in the city of Rogue River (formerly Woodville). The turn of the century home displays items that the pioneers used. The household furnishings and tools span one hundred fifty years. Long time residents organized to form the Museum in 1986, and then opened in 1987. Much of the initial funding came from the membership. “Square Foot Certificates of Membership” are still available. A bandstand, a replica of one formerly located on the site of the current Depot Street tree island, has been constructed on the grounds. A brick-by-brick relocation of the old jail from its original location near the railroad tracks off Pine Street, was completed in 1990. 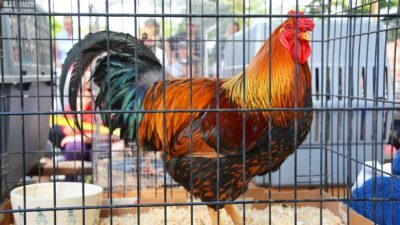 On the last Saturday in June, the town holds the Annual Rooster Crow with the Museum the focal point. 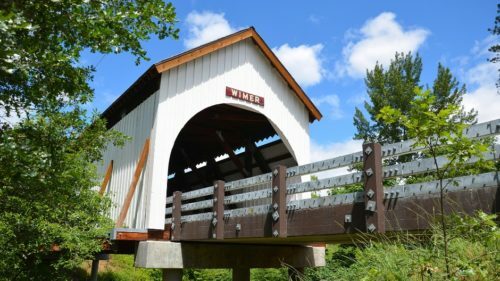 Visit Wimer-The Wimer Bridge is a covered bridge over Evans Creek in Jackson County in the U.S. state of Oregon. The version that was listed on the National Register of Historic Places, was built in 1927. This structure, 85 feet (26 m) long, carried East Evans Creek County Road over the creek in the rural community of Wimer. The creek is a tributary of the Rogue River, which it joins at the small city of Rogue River. An earlier covered span, built in 1892 by J. W. Osbourne, crossed the creek at this location, according to local residents and an engineering database. The 1927 bridge replaced the older span.